Warm welcome visit our page , this is a curve ice cream kiosk in mall. can selling ice cream, juice, frozen yogurt, coffee etc. Let me introduce more details about this kiosk for your check. 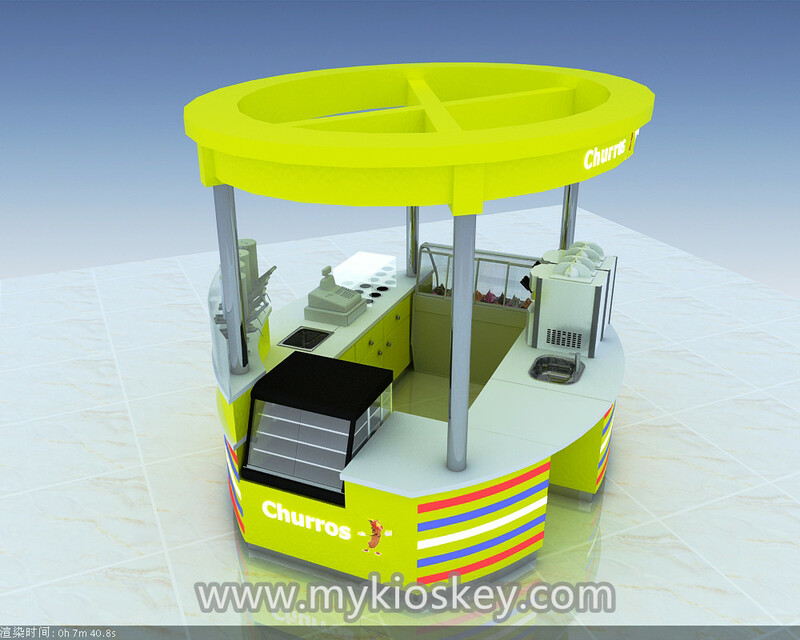 Logo : Churros ice cream . Usage : for selling ice cream in mall. 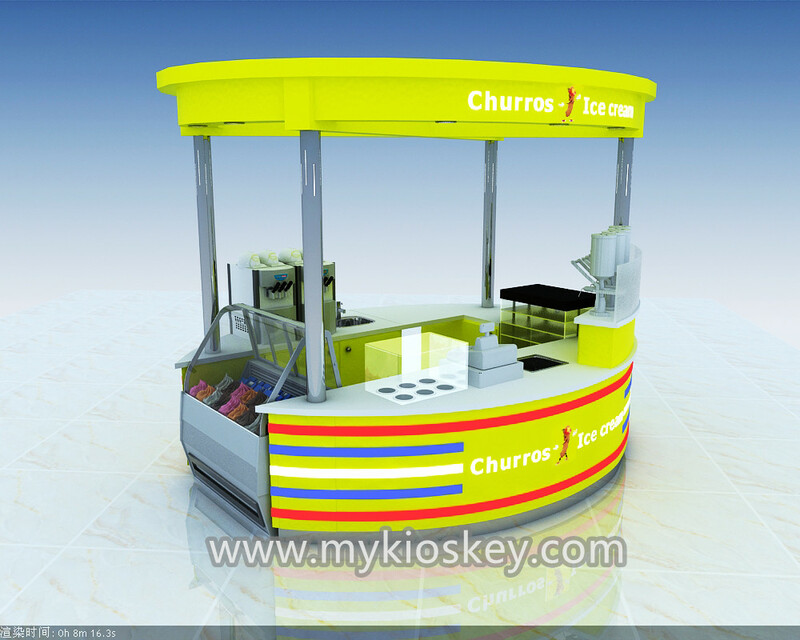 as you see this kiosk layout, very simple and modern, the kiosk with a round top. the front of this kiosk have six topping with glass cover, a cashier, a stainless basin , juice machine . the left of this kiosk is a ice cream display showcase. right is a glass display, the back of this kiosk have two coffee machine and a single sink, if you have more ideas about this kiosk layout, just contact us. we can put all of your ideas on this kiosk build. 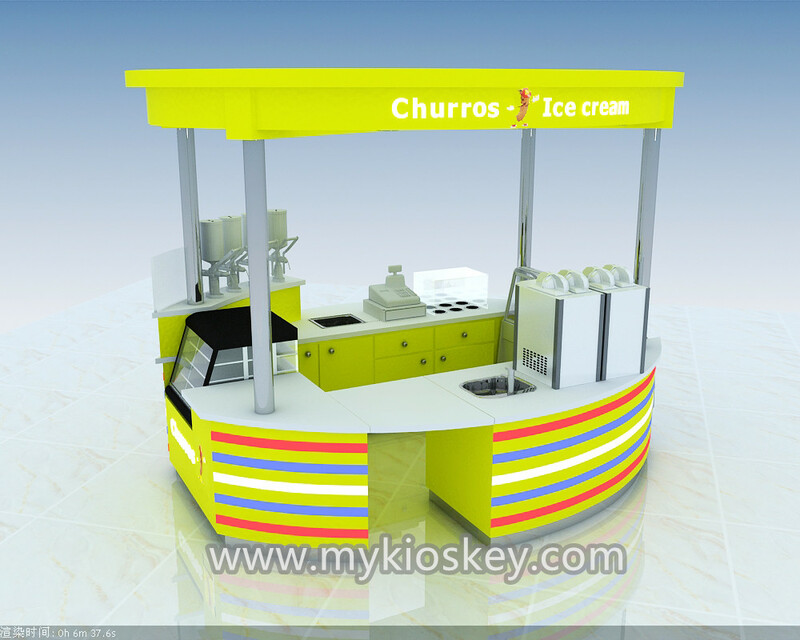 1.12 top professional designers to guarantee perfect and creative ice cream kiosk. 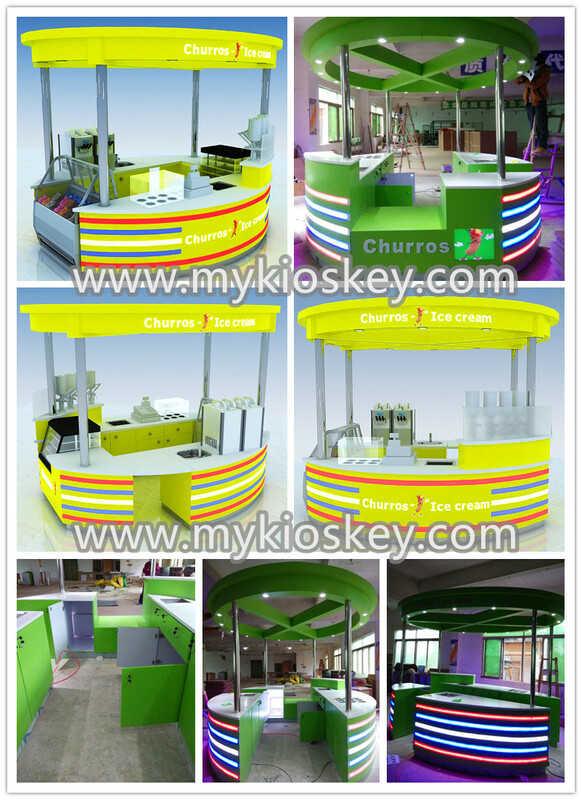 1.More than 10 year-experience on commercial display furniture manufacturer especially in ice cream kiosk . 4. Why choose myidea furniture ? 5. 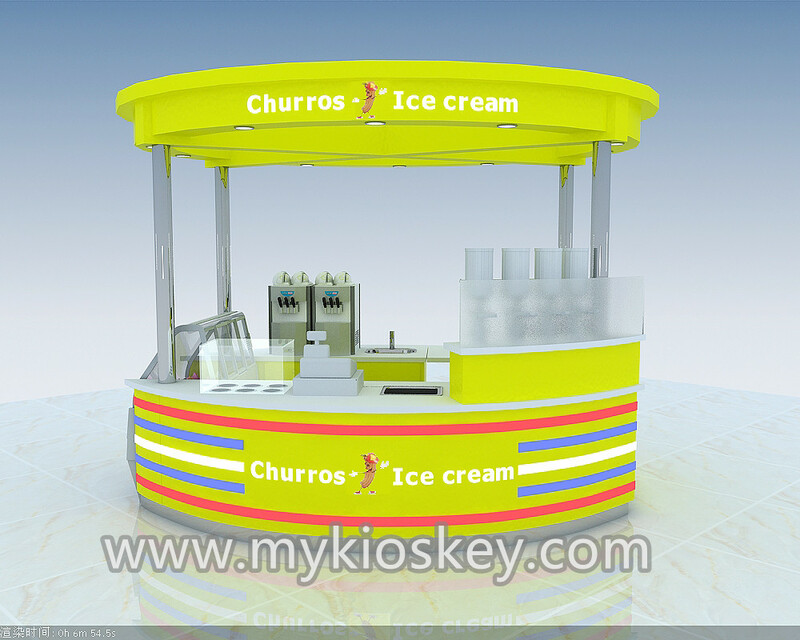 How to assemble this ice cream kiosk ? The ice cream kiosk will be separated into several parts, and each parts will be paked individually, when making packing, we will mark 1.2.3… on the wooden carton, so after you got the kiosk, just need to put them together in order and then connect electricity, then the whole ice cream can work. Thanks for your time, if you need more details and interested build a kiosk like this one, pls feel free to contact us as below, thank you.